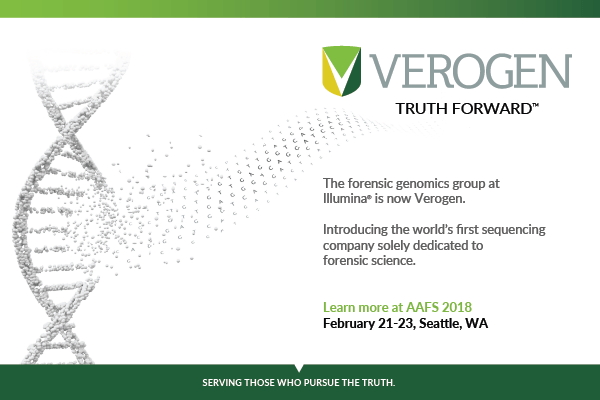 Join us at AAFS 2018 to learn how Verogen’s unique focus on forensic genomics will continue to drive the field forward and help your laboratory solve more cases. Visit Booth 236 to learn more about how the MiSeq FGx™ System, the first fully validated MPS solution designed exclusively for forensic genomics, can help you get the most from every forensic sample. Registration is free, but space is limited, so please register below now to secure your spot!